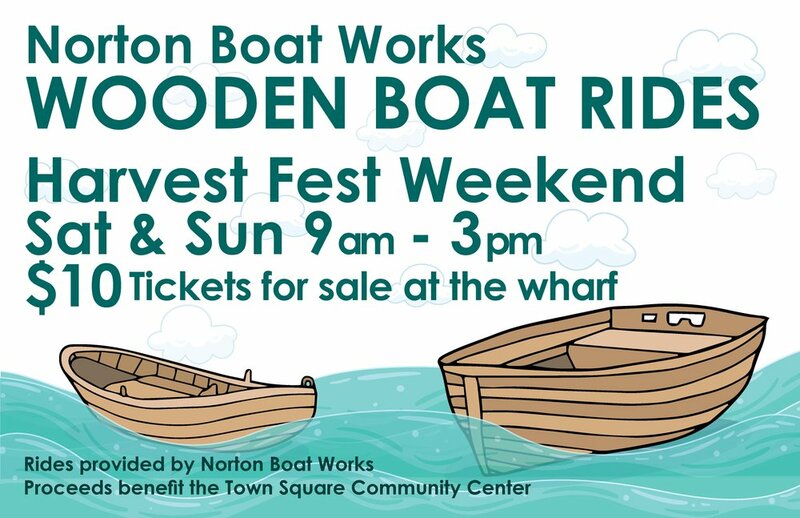 We are really excited to be working with Norton Boat Works again this year at Harvest Fest. They will be offering 20 minute boat rides from the wharf for $10 each with the proceeds benefiting Green Lake Renewal's Town Square Community Center. Tickets will be sold by volunteers at the wharf by the Deacon Mills Park in Downtown Green Lake.